"The latest trends in high-end furniture design demonstrate a growing interest in combining different lifestyles and design styles that do not necessarily talk the same language," said Mark Anderson, director of education at the Istituto Marangoni Milano Design. "A mixable piece of design is one that it is suitable to be combined with what it is consistent with it and what it is not alike." 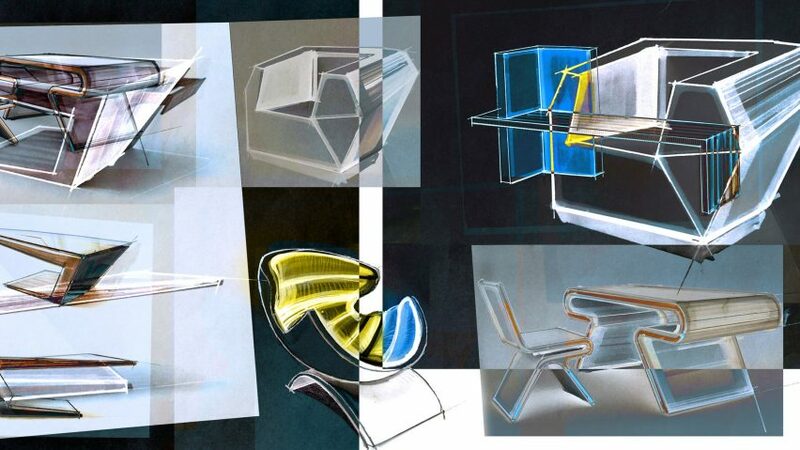 The projects, which will be judged on their "innovation and concept synthesis", will be considered by a jury consisting of teachers at the design school, as well as international designers and architects, including architect and ADI president Luciano Galimberti and Giulio Cappellini, designer and art director at Istituto Marangoni Milano Design. "Inspired by the new generations, No Code Generation acknowledges the fluid scenario the youngsters have grown up in and looks at the way they explore the variety of places, locations, experiences as well as visual languages, thanks to a relationship with the surroundings which is technology bound," said Anderson. "They enjoy moving fluently through the world's art and design capitals, from Miami to Shanghai, from London to Mumbai, and enjoy different cultural proposals creatively. Their experience is codified and not bound by any given code." Relaunched in 1979 by Giulio Cappellini, the Milanese furniture brand is recognised with its collaborations with designers such as Jasper Morrison and Nendo. Find out more about the No Code Generation contest on its website.